People increasingly base their whole opinion of you on your website. If you don’t have a strong digital marketing agency behind you, or a great in house internet marketing team that knows what they’re doing, chances are you’re turning away potential customers. When asked what is the most important factor in determining if a business is credible or not, 48% of people say it’s the business’ website. And when asked why they mistrusted a website, 94% of people say it’s the design. Studies show that a user will make an opinion about your website in about 50 milliseconds, so if you don’t have the best internet marketing making sure your site not only looks good but also loads at lightening speed, you’re in trouble. Search engines are the gods that must be pleased. Complain if you will, but the reality is that 60% of user clicks are going to the top three organic search results. And since Google is changing its search algorithms between 500 and 600 times a year, you need an internet marketing strategy that knows how to get you to the top of the heap and keep you there. And consumers are going to those search engines not just to find your site, but also to look for reviews. When asked, 72% of consumers say positive reviews would make them trust a business, and 88% of people read reviews in order to make a decision about even a local business. Shockingly, the average person doing a web search will spend less than two seconds looking at every listing. Your digital marketing agency must know how to make you look good in every way: in the two second glance, and in the in-depth review. People want to use their mobile phones, not their desktops. The old computer-friendly website is not completely obsolete, but more and more people are using their mobile phones to search. In fact, they’re using them for nearly all their internet browsing. Of those who have a mobile phone, a full 50% say it’s their primary source of internet. This means you need a website design team that can make you shine on a big screen and on a little one. Mobile SEO is essential also because your competition is already doing it. According to a 2017 report, 81% of surveyed marketers said they are already optimizing social videos for mobile viewing. You live or die by social media. Social media is another thing you may love or you may hate, but your marketing strategy has got to take it into account. Already, two thirds of marketing processionals say that Facebook is the most important social platform, meaning you need online marketing strategy that keeps your Facebook page relevant, attractive, and active. A SalesForce Marketing Cloud report found that 83% of people say they like it when a business responds on social media, and 94% of B3B marketers use LinkedIn as part of their strategy: a strategy that you should be following, too. Professional web design is as important as any billboard, sign, or newspaper ad. 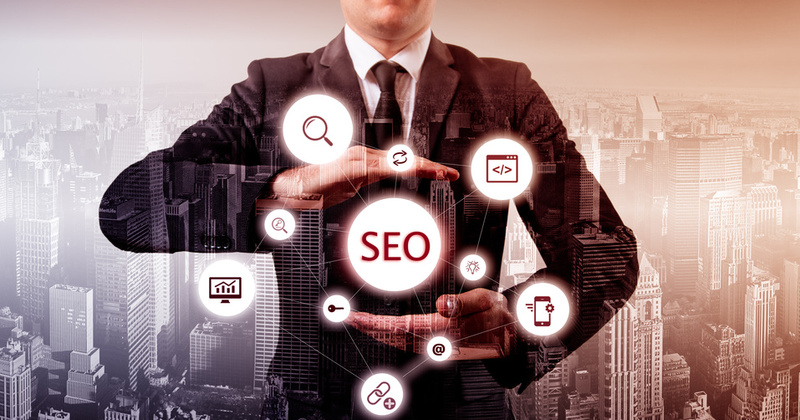 You need real SEO professionals to make your site shine, to attract the customers you want, and to keep them talking about you on social media. If you’re not prioritizing internet marketing, it’s time you started. Previous story What Are You Looking for in Your Next Job?